Yesterday I felt like scones. Wait, let me rephrase that: I felt like EATING scones. 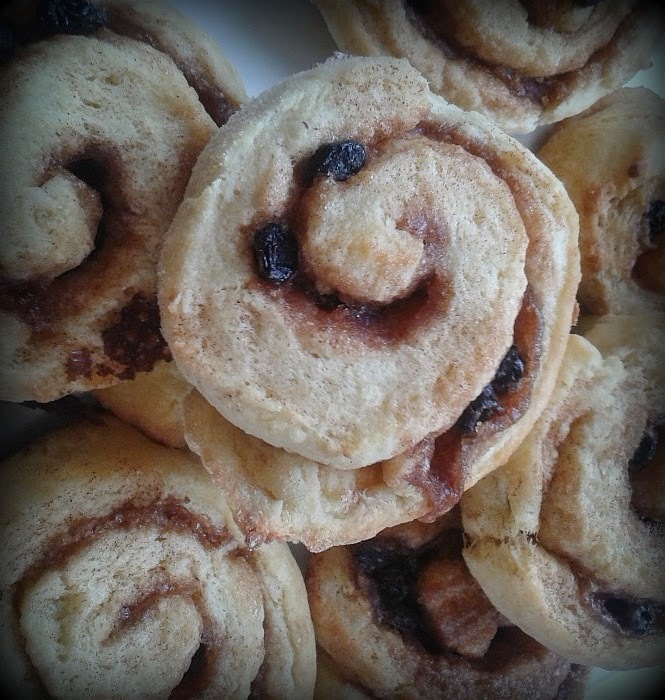 But I didn't fancy just any scones, I was picturing pinwheel scones, soft and warm, filled with cinnamon and brown sugar. I'd never made them before but I reckoned I could figure it out. How hard could it be, after all? Take your basic scone recipe and make it a little bit fancy. So I gave it a go and whaddya know? 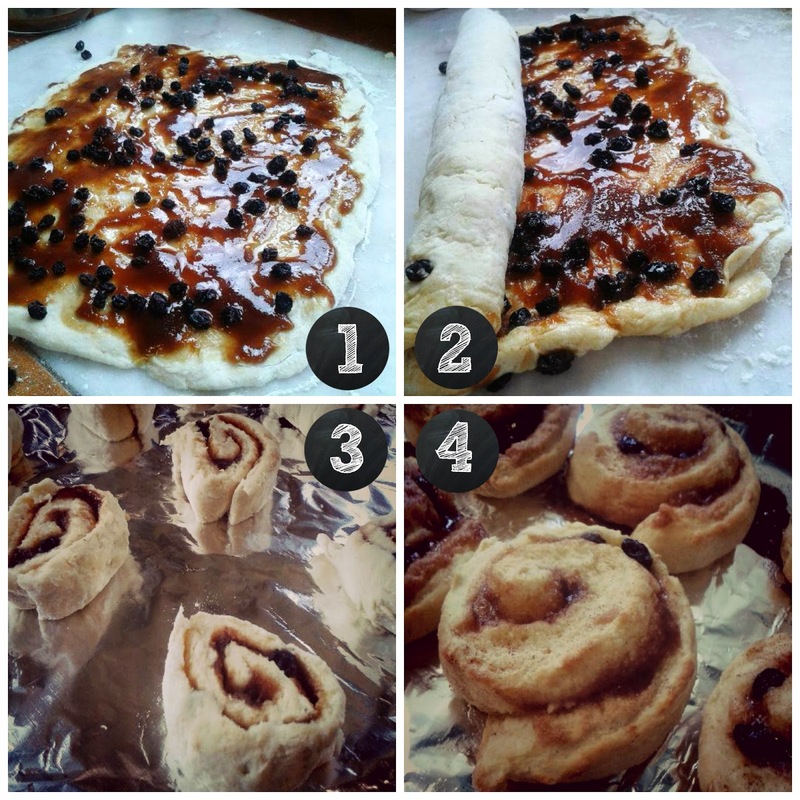 Pinwheel scones are easy AND delicious. Along the way I even tried something I hadn't planned on - a savoury version, perfect for the lunchboxes. My pinwheel scones were a huge hit, gobbled up and exclaimed over by my kids and our after-school visitors. Plus, I felt like a "good mother" serving up home baking for afternoon tea and tucking the leftovers away for the next day's lunches. I'll be making these again, count on it. With your fingers, rub in to the dry ingredients 150g of butter (softened), until it looks like fine breadcrumbs. Stir in 1 cup of milk and form a ball of dough (add extra milk if required) and knead briefly. Now divide the dough in two: you are ready for the fancy part. Cut the dough sausage into sections around 2cm thick and place these rounds on a lined baking tray (I ran out of baking paper so had to use foil); you can drizzle any extra sugar mixture on top of the rounds if you like for a crunchy topping. Bake at 220°C for around ten minutes or until risen and golden brown. Mmmm, yum. Cut the dough sausage into sections around 2cm thick and place these rounds on another lined baking tray; you can sprinkle extra grated cheese on top of the rounds for a cheesy topping. Bake at 220°C for around ten minutes or until risen and golden brown. Delicious. Serve fresh from the oven for afternoon tea; store leftovers in an airtight container and pop them in the kids' lunchboxes or make a fresh batch for Saturday brunch. Enjoy! 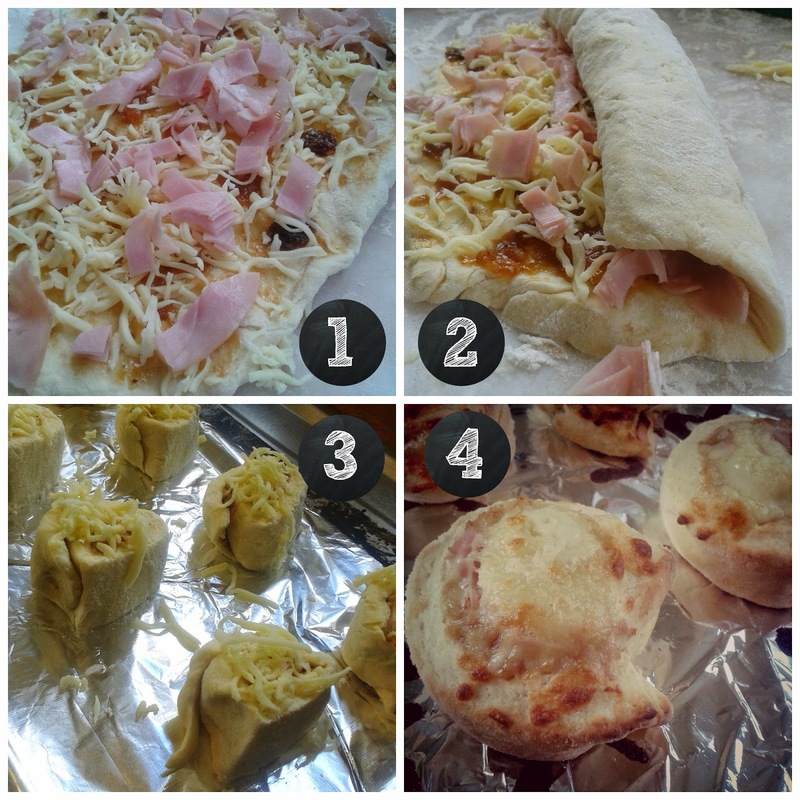 More recipes on my Favourite Recipes Page. So yum! Pictures always help me too - particularly when there are pics of the process! After school snack here we come! Nom nom, pinwheel scones are the best! 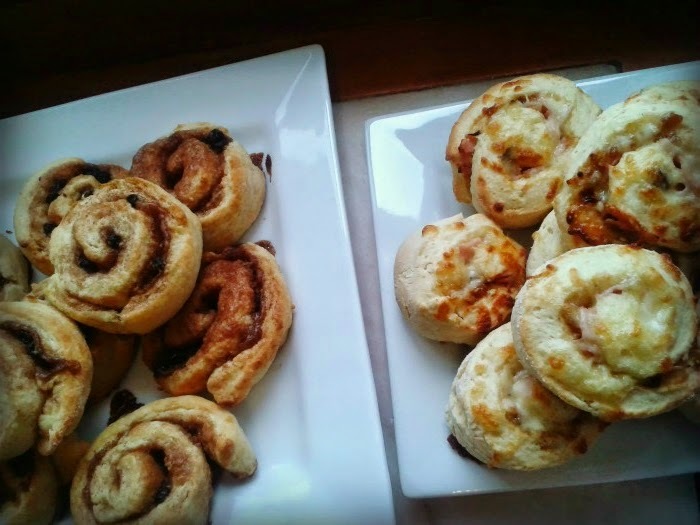 My kids love Vegemite and grated cheese, and for the adults I do bacon and onion marmalade. Yum Lauren - I did think that if you did marmite and cheese it would be pretty much "cheesy-mite scrolls"; I might have to give that a try! Yum, will definitely be trying these.... in fact, I might invite Nick to join me! 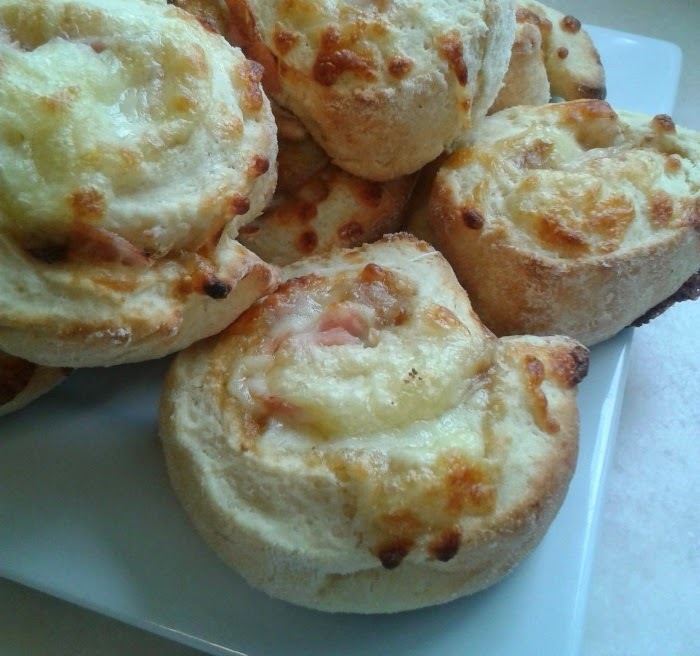 I have the Cheesymite scrolls in the oven right now, as well as some with your fillings. Perfect way to spend a Sunday morning, baking with the four year old.